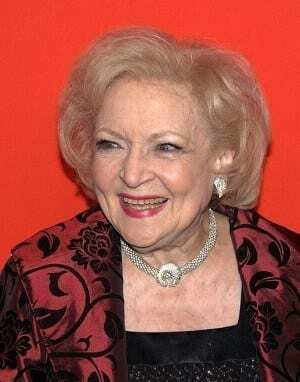 Betty White’s life and career were celebrated Monday night in a televised special featuring comedy legends Mary Tyler Moore, Carol Burnett and Ed Asner. “A Tribute to America’s Golden Girl” aired Monday night and featured a star-studded cast saluting the now 90-year-old White. Although tributes from Mary Tyler Moore, Carol Burnett and Ed Asner brought the audience to their feet and brought tears to their eyes, it wasn’t just past costars who made the trip to salute White. Current primetime stars Joel McHale, Amy Poehler, Tina Fey and Seth Meyers all paid tribute to White, and even President Obama made a special appearance. Obama joked that he didn’t believe White was really 90 and requested to to see her long-form birth certificate to prove it. “I’ve been the luckiest old broad on two feet to have all the jobs that I’ve had,” White said, clearly moved by all in attendance. Read more about the tribute to Betty White here.